It is summer and hot again. Why not return to the nice temperature controlled environment inside the malls one more time? Browse all the exotic goods from all over the world, walking up and down the isles in a dreamy waltz while the soft music echoes through the muzak system and then grab a bite to eat at one of the convenient placed coffee shops. 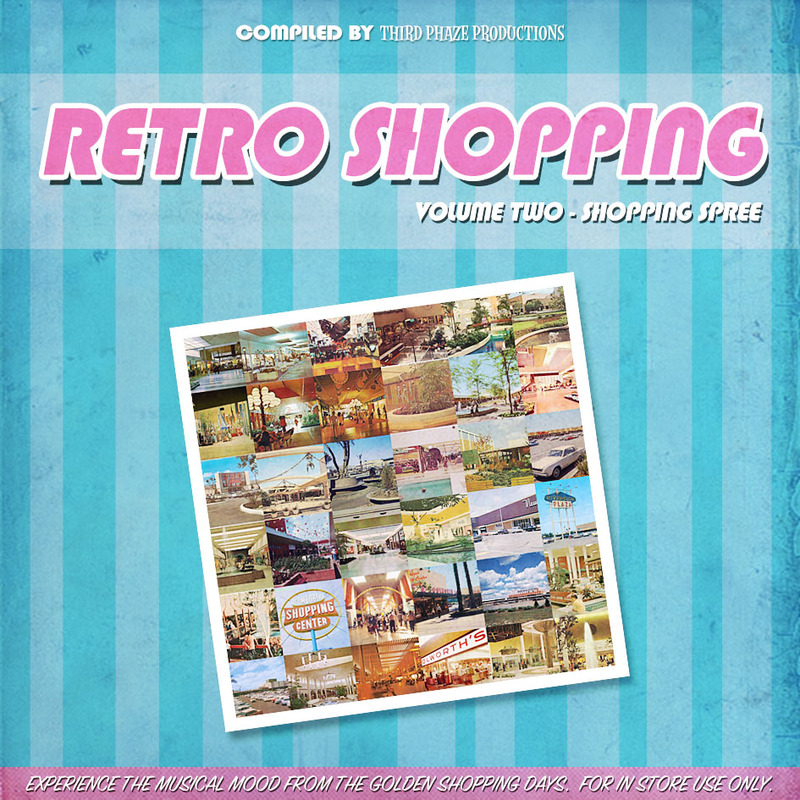 This compilation is the continuation of my Retro Shopping series. The first one was released in July last year and became very popular among the Ultra Swank visitors. The second one features the same kind of happy, cheerful, instrumental easy going music that was played in malls during the 50s and 60s. As a bonus I have included a special montage with shopping related jingles and commercials, just to help you get in the mood. Grab it while supplies last! Feedback is as always appreciated. Thank you Keith from Malls of America for use of the postcards.